103 1st Street Kalona, IA. | MLS# 20182294 | Kalona Realty, Inc.; Listings and Selling property in greater Washington and Johnson Co. area. For sale or lease! New construction, commercial condo unit: measures 25 x 60 (1500 sq. feet), includes 1/2 bath, wired for 220, floor drain, FHA unit, 14&apos; overhead door and walk in door completely insulated. 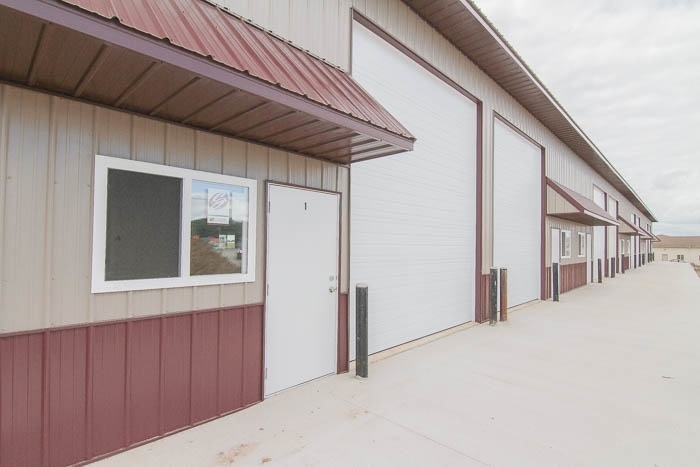 Units are perfect for contractors, a small business, warehouse, RV storage & more! Utilities will be expense of the tenant in a lease contract.